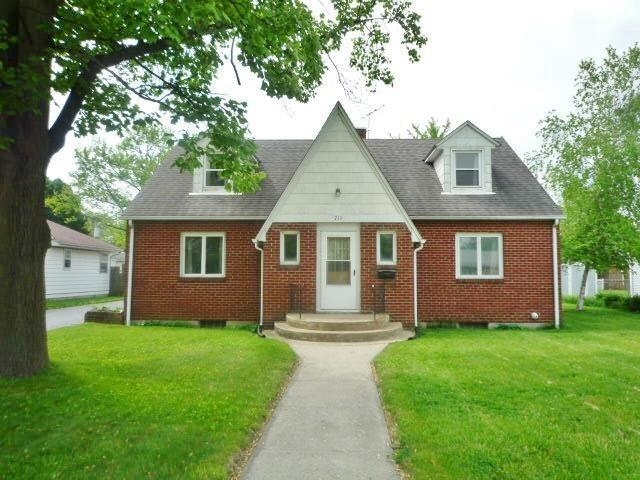 Brick, 4 bdrm, 2 bath, 1 1/2 story Cape style home with lots of character with it's hdwd floors & curved archways. The spacious LR has a beautiful open stairway, & blt-in bookshelves. The kitchen has blt-in cooktop & oven, breakfast bar, & breakfast nook & is also open to the DR area, 2 nice-sized bdrms on the main floor, as well as full bath & enclosed porch w/w&d hookups, upstairs you'll find 2 bdrms w/dormers & lg bath, there is also a full bsmnt, 2 car det. garage, newer furnace & central-air, new garage door opener that is wifi capable, & is located close to schools & hospital! Directions:At Milton and Grace, go East on Grace to house on south side of street. Listing provided courtesy of Jenkins, REALTORS, INC..